Spike Lavender oil is different from true Lavender oil in medicinal properties and chemical composition. They may look similar though. It's just that Spike Lavender's aroma is fresher, more camphorous, and sharper. Spike Lavender grows in places with high atmospheric pressure and oppositely, true Lavender grows in low atmospheric pressure. In between, you will find several of lavender cross-breeds. Since Spike Lavender has strong properties, it should be used with caution. It has been utilized in relieving migraines, indigestion, colic, gastritis, and arthritis as stated in the British Herbal Pharmacopoeia. Additionally, it is often used to treat respiratory problems. 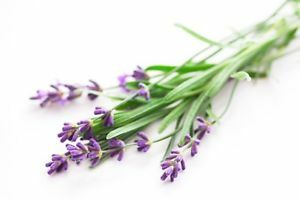 Spike Lavender combines well with Eucalyptus, Rosemary, Clove Bud, and Pine. Get Your Spike Lavender Essential Oil Now! The oil has a very relaxing woody,earthen fragrance. I use it to lull myself to sleep night after a warm bath. A little on each elbow and wrist and I'm out like a light! It's well worth trying and a little goes a long way.